Purchase 50 or more Celox Rapid Haemostatic Gauze - Z Fold - Singles and download your free support pack worth £100. 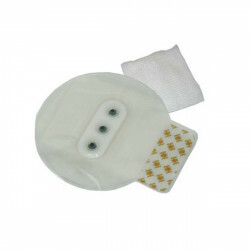 Purchase 200 or more Celox Rapid Haemostatic Gauze - Z Fold - Singles and you can have personalised covers absolutely free! 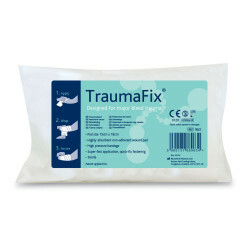 CeloxTM Rapid Haemostatic Gauze is a dressing designed to control major haemorrhage, including life-threatening bleeding from arterial injuries, in just 60 seconds - the fastest acting Haemostatic Gauze treatment currently available! 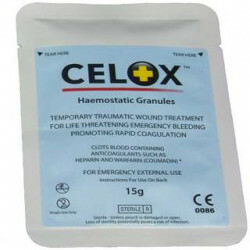 It uses the powerful Celox citosan granules laminated on to a dense Z-Fold gauze, so it is quickly and easily packed into bleeding wounds. 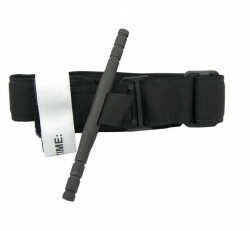 It is individually sterile packed in a ruggedized pouch with tear notches for fast opening. 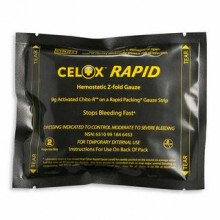 The key users of CELOX RAPID are professionals exposed to situations where traumatic blood loss can occur, including Military, special forces, tactical units, law enforcement, first responders and emergency services personnel.